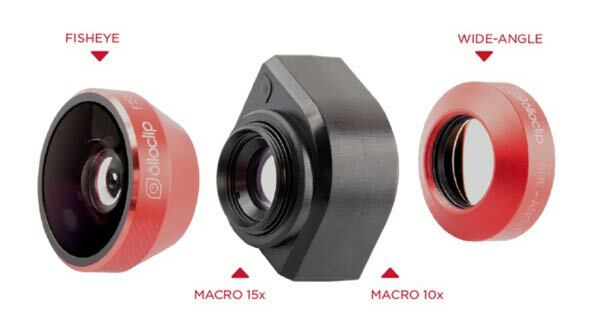 Even though iPad cameras are generally pretty good quality, they lack versatility, and this is exactly what Apple accessory manufacturer Olloclip wants to target with its new photographic accessory. 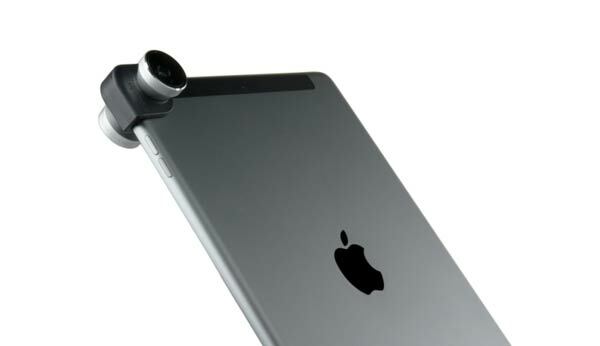 The three-piece system will introduce iPad users four new ways to use their tablet’s camera. It is compatible with the iPad Mini, iPad Air and iPad Mini with Retina display. The small and portable device clips on and off and features 4 quick-change lenses including Fisheye, Wide-Angle and two Macros- 10x and 15x. The fisheye lens will provide you with an dome-shaped extreme field of view whilst the wide-angle lens will produce a more natural effect. The two macros on the other hand will allow you to shoot things in much more detail and closer than normal. The lenses are metal with a plastic frame that fits snugly onto the tablet without damaging the finish. The fisheye and wide-angle are placed on two sides of the clip on device, and users can access the macro lenses by screwing off the primary lens. 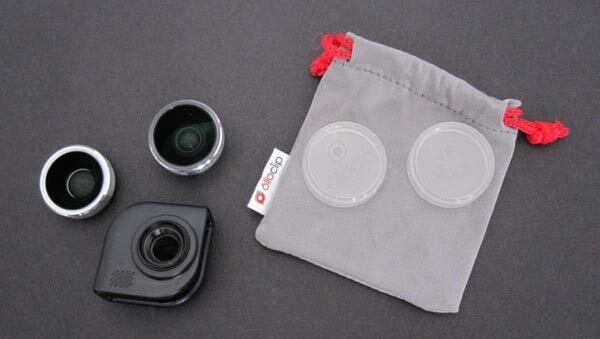 The $70 device also includes a carry pouch and lens caps, and you can check out a few examples of the lens in action over at Forbes. The macro modes seems to produce pretty amazing results and Olloclip also offers a free app to go with the lens, which features many useful tools and editors to allow you to adjust the image pre and post shooting. One thing I would have liked is a telephoto lens in the assortment however that might not be possible for some kind of optical reason. Does anyone know if a tele lens is particularly difficult to make in this form factor? Please comment below if you do! Previous story Is this iPhone handle accessory worth investing $22,000 in?